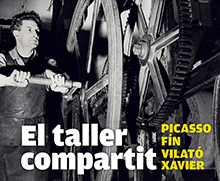 The engraving artist Xavier, son of the also artist Javier Vilató and grandnephew of Picasso, offers us a stroll through 50 years of experiences in the world of engraving and lithography. -Thursday, November 23rd 2017, 7.00pm. -Admission free of charge, limited capacity.